I love fish fry sandwiches. Whether it’s made of haddock or cusk or cod, whether it came from Bob & Ron’s (God rest its soul) or Ted’s (very tasty), I enjoy that tasty, flaky, sweet meal. I do. So when I saw that a local restaurant had a Friday fish special sandwich, I was intrigued. Price was reasonable, as well. And you gotta love fried flounder. Yep. You see it as clearly as I do. Flounder on bum. Now this errant typo can be taken many ways. Perhaps there is a homeless man on the corner of Washington Avenue and Lark Street, he’s sitting down and there’s a fish on top of his head. Flounder on bum. Right? If you’re from the United Kingdom, perhaps this means someone placed the catch of the day on your rear end. Possibly someone getting spanked with the catch of the day. Well now. 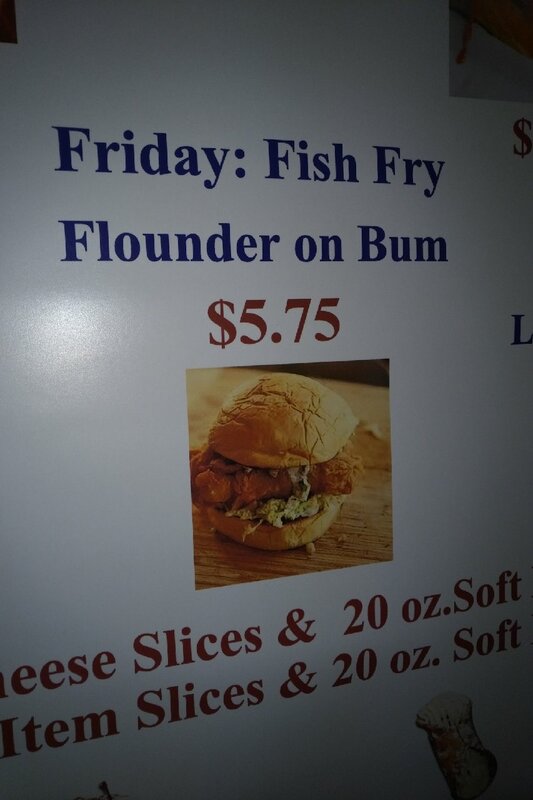 Oh and as for the “Flounder on Bum” sandwich … I think I’ll pass. With my luck, this place most likely also serves hamberders with a side order of covfefe. What about Fin in Guilderland?